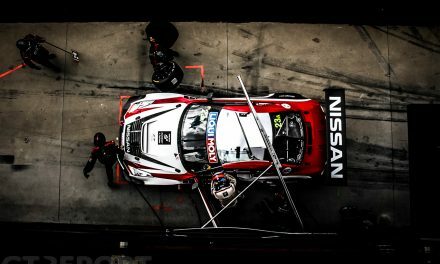 The preparation race for the upcoming 24 Hours of the Nürburgring was held last weekend at the foot of the famous Nürburg. Two days of race action was given to the teams to test their cars one last time before the season highlight in May. Some rain, fog and cold temperatures on Saturday combined with cold weather and even some sun on Sunday made a perfect mix for one last rehearsal. 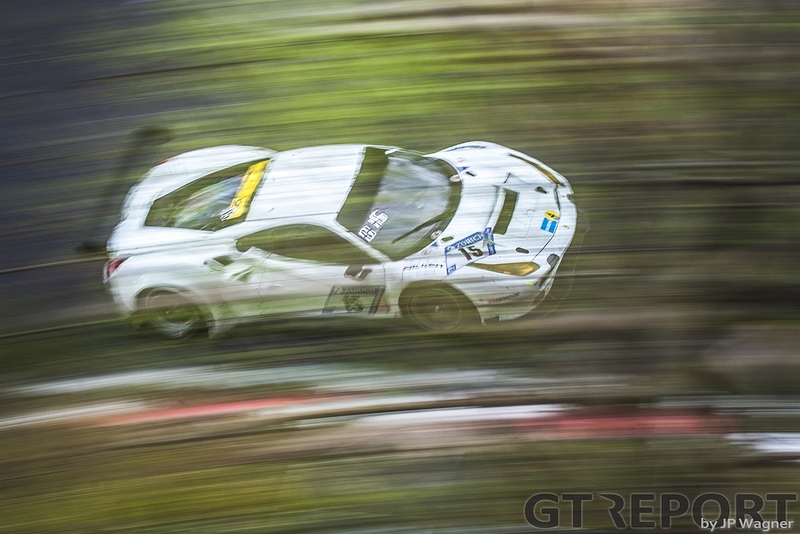 With nearly hundred entries and a bunch of more 30 GT3 spec cars, everything was set for an interesting race. Becoming the first surprise of the weekend was the Scuderia Cameron Glickenhaus squad of James Glickenhaus from the United States, who took provisional pole in the first qualifying on Saturday night. 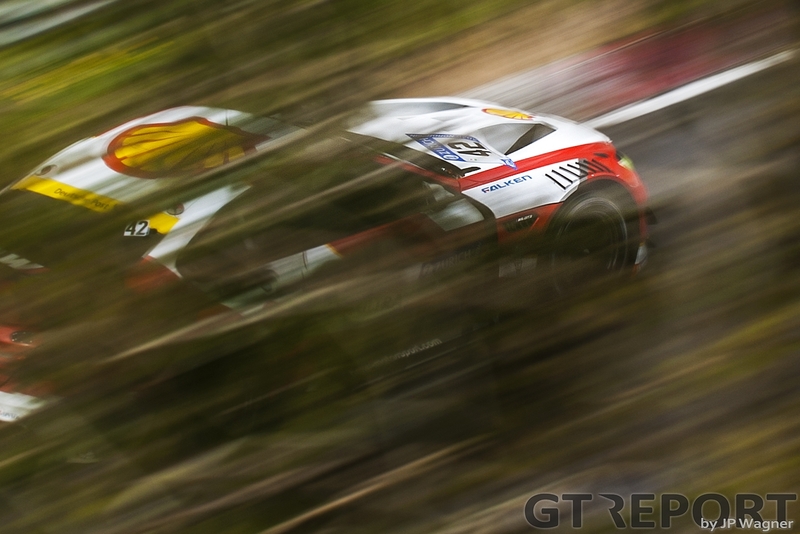 The team, racing under the banner of Traum-Motorsport, ran two self-built GT3 spec cars called SCG003C, to aim for a long held dream of victory in the Eifel mountains. On race day the Americans had to prove their speed once again when the final qualifying kicked off in the morning hours. Cooler air and dry conditions led to another drop in the times. When all was said and done it was AMG works team HTP Motorsport with its drivers Christian Hohenadel, Sebastian Asch and Stefan Mücke who took pole position, pushing Glickenhaus back into second on the grid with a gap of 0.571 seconds. Christian Krognes in his Dunlop-sponsored Walkenhorst Motorsport BMW M6 GT3 completed the top three positions. 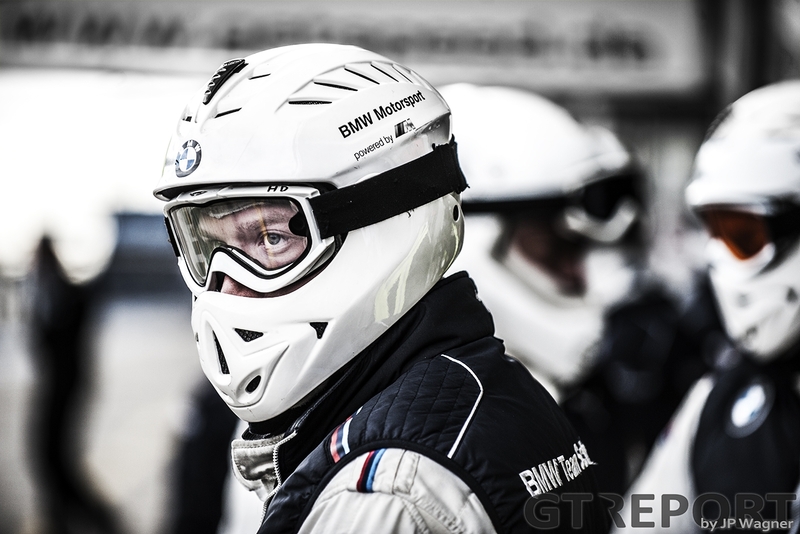 This third place on the grid would be the only memorable moment for BMW during the weekend. Hohenadel didn’t manage to turn pole position into victory. The German is away quickly but loses the lead on the first lap after a quick shuffle with the SCG003C. In his eagerness to take back first place, he crashed his AMG in the opening laps of the race. The HTP pilot tried to overtake a slower Porsche when he smashed into the back of it. Like Hohenadel, Krognes also has an accident. The Norwegian was holding his own when on the third lap he made a rare mistake and hit the guardrail at Quiddelbach. With his race ended there would be no further development work for the upcoming race. Coming from second on the grid was the number 702 Traum-Motorsport SCG003C of Felipe Fernández Laser, Thomas Mutsch and Andreas Simonsen who took over the lead on the first lap and rarely handed it over. 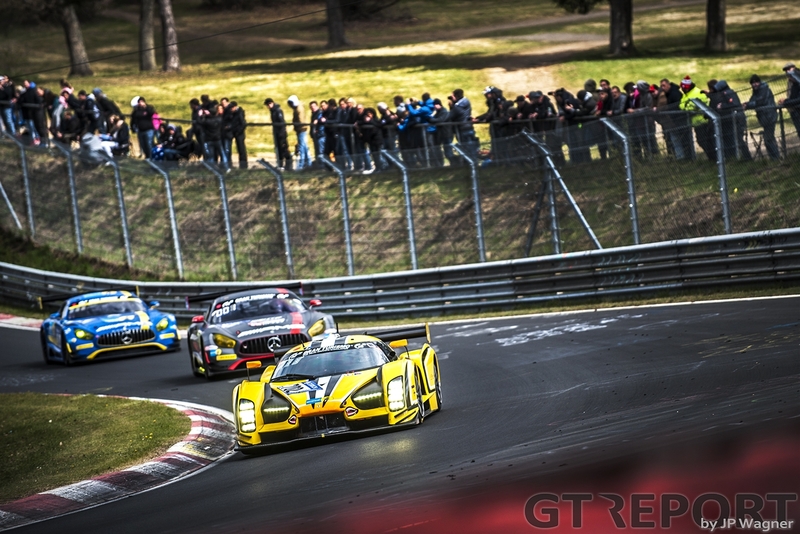 Having started from seventh, the second SCG003C managed to take over second place, resulting in both Glickenhaus cars leading the race at the end of lap one. But the fireworks didn’t last for long as the number 704 SCG003C slowly started to drop back down the field. Frank Mailleux, Thomas Mutch and Jeff Westphal were forced to retire after the telemetry showed possible problems with their newly-installed engine. 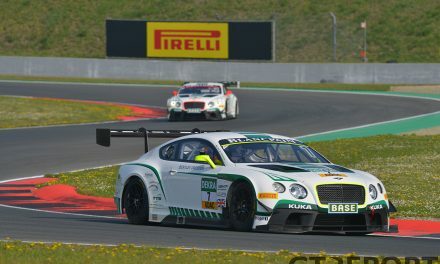 During the race the fans around the Nordschleife saw several lead changes due to strategy between main contenders AMG, Audi, Ferrari, Porsche, Bentley and SCG. The number 702 SCG003C stayed on top until the closing stages, still being in front of the rest of the field after the last pit stop. Then, with half an hour remaining, word came that the car suffered a brake failed and had crashed. The paddock was shocked. Everyone was hoping to finally see Glickenhaus’s work over the last several years pay off. But the dream was shattered with an off in Aremberg and smack into the barrier, causing massive damage to the car. At this point Laser was behind the wheel. He was fine, as the team reported, but the victory was gone. Suddenly, four cars were fighting for the win after the leader was out. The gap of over ninety seconds to the front had evaporated and a new leader emerged. After the last sequence of pit stops, Audi privateer team Phoenix Racing took second place and was promoted into the lead shortly after. The local race team was running in front of the Audis from WRT and Land Motorsport. A strong Falken Porsche in fourth was pushing the Audi squads along and putting pressure on them. In the later stages of the race the quick Porsche managed to overtake the Land car to get itself into third position, battling nose to tail with the number 9 WRT Audi for second place. 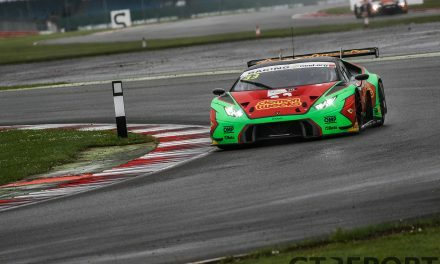 Phoenix, having come from eighth on the grid, were still leading the race by a few seconds when the last lap started, followed closely by the WRT Audi and Falken Porsche battling for second. The fight was on, the paddock crews in their pit boxes nervously watching the television screens with the onboard streams of the cars to follow the action, but nothing further would happen. 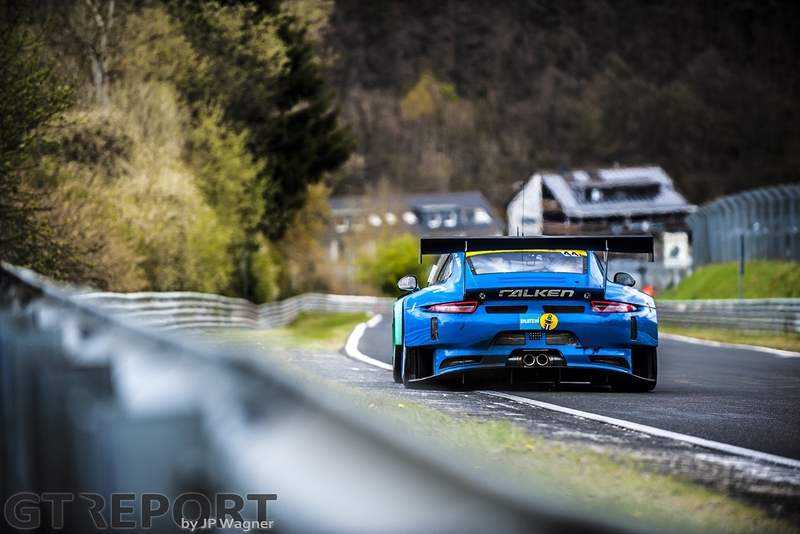 Nico Müller and Frederic Vervisch came home second, just metres in front of the Falken crew. The victory went to Phoenix Racing and drivers Mike Rockenfeller, Dennis Busch and Nicolaj Møller Madsen as they had been the main contender of the SCG in the last hour and drove a flawless race. 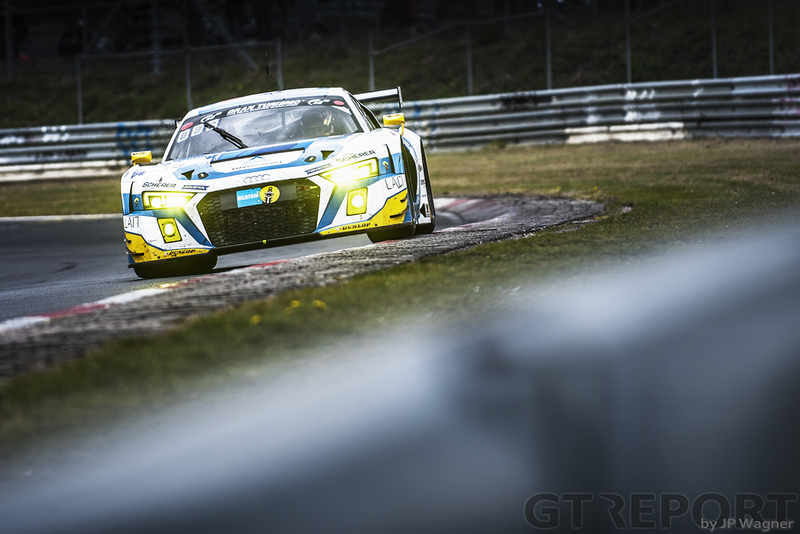 Surprisingly, the non-works supported Audi R8 LMS GT3 won in front of two Audi factory supported cars. 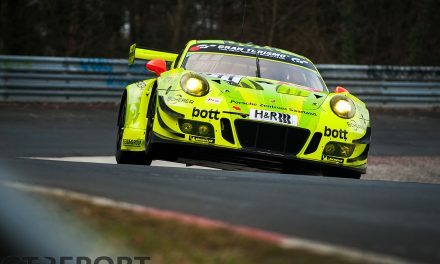 Now the teams will have one more month until the 24 Hours of the Nürburgring to prepare the cars and get ready for the biggest show of the year.